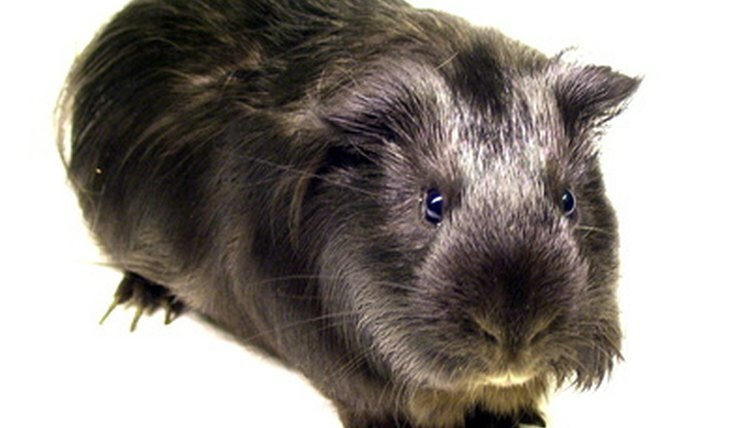 No one wants a lousy guinea pig—one infested with lice, that is. Unfortunately lice, along with those other charming parasites, mites, are fairly common in guinea pigs. Your vet can prescribe safe insecticides to remove them. First, the good news. The type of lice that infest your guinea pig won't chew on you or family members, as lice tend to be species-specific. These minute, wingless creatures live on your guinea pig's hair shafts, laying eggs, or nits, that also attach to the hair. Although two different types of lice can infest guinea pigs, both are chewing pests that bite into the skin and live off your pet's bodily fluids. You might not notice a mild lice infestation of your pet, but if he's heavily afflicted, that's another story. Your guinea pig itches constantly and might go bald in spots. Skin around his head, ears and neck becomes inflamed. He could draw blood from the incessant scratching. In a worst-case scenario, your guinea pig could suffer from seizures due to the nonstop itching. If he breaks the skin from scratching, a secondary bacterial infection could result. Rather than waste time and possibly harm your pet with over-the-counter products, take him to the vet for diagnosis and treatment. Your vet can diagnose your pet's infestation by a visual examination of his skin with a magnifying glass or by taking a skin scraping. She'll prescribe a spray or powder to get rid of the lice or a topical flea product containing selamectin, sold under the brand name Revolution, which also gets rid of lice. She could also bathe or dip your pet in a lice-killing shampoo. If he's suffering from an infection from the scratching, she might prescribe oral antibiotics as well as an antibiotic cream to treat the wounds. Since lice are very contagious, make sure any new guinea pigs you bring into the house are free of the critters. Direct animal-to-animal transmission is how lice spread. If your infested guinea pig shared housing with others, they must be treated as well. Thoroughly disinfect their cage and toss old bedding and everything inside it. Better yet, purchase a brand-new cage. Can Hamster Mites Be Passed to Humans? Are Guinea Pig Lice & Rat Mites the Same Thing? Can You See Eyelash Mites Under a Microscope?